If you convert the old 6V turnip to 12V, you will need it. Other bulbs can be found relatively easily, but this shape has not been sold easily and it was saved here. It's expensive for small, but one is one. This review is about item#35506816. Although it is an old car type, it is safe to have stock immediately. Just a shipping cost a bit cheaper. This review is about item#35506825. Since it is no longer standard, we needed this single sphere of T6 cap to use the parts at the time. The joy that I could restore when this lamp was lit with a motorcycle designed half a century ago is great. I would like to sell lamps of old standards at any time. You can use it as it is. No problem. I purchased it together with other parts so I got a free shipping cost. It was saved because there was handling. This review is about item#00266473. I could use it without any problems. I wish I had a cheaper a little more. I could use anything without problems, I purchased two items including spare this time, so I will buy again if it becomes necessary again. 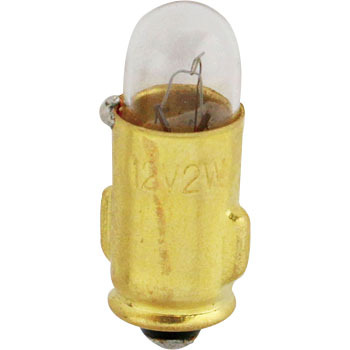 Although it is a light bulb of a standard that is not used much, it can be used normally. I am not complaining if the price is lower.